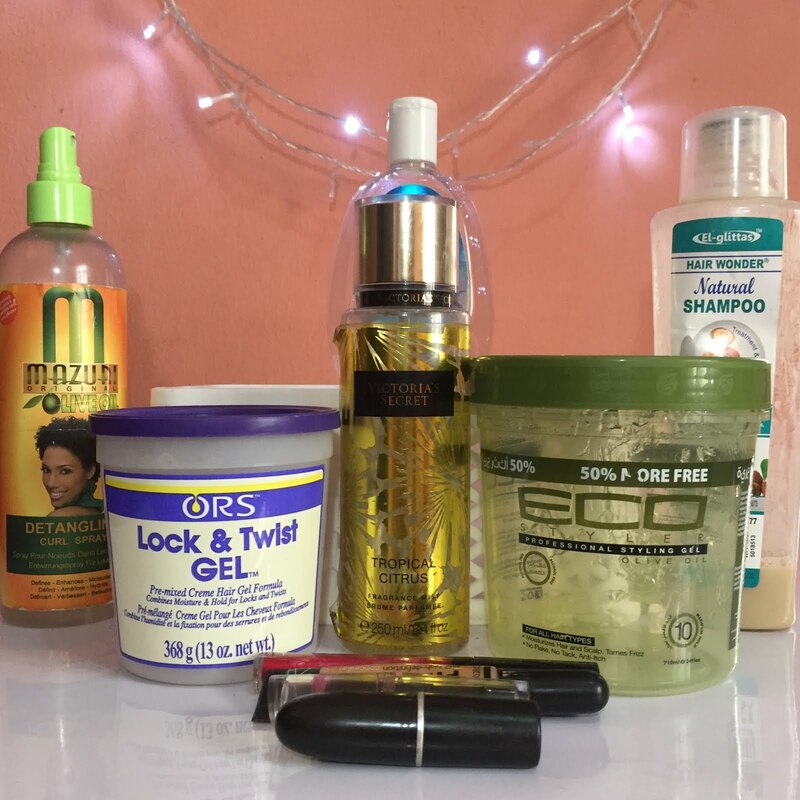 Empties: Nailed it or Failed it? I'm sure we all that one product that we ask ourselves why on earth we bought it in the first place. or that one that just didn't do the job the way we thought it would...orrrr on the brighter side, that which we absolutely loved! I've just used up the products I'll be sharing below, and before I dump the empty containers into the trash, I figured...why not give my honest opinion about them, and conclude if I'd be reaching for these products next time. Ahh! The ever famous eco-styler gel. I reached for this gel after the major hype it received by youtubers and natural hair gurus who swear by it. Honestly. two things are involved here: it may be that I just didn't fully understand the purpose of this gel and went ahead to believe it could control my stubborn 4c textured edges, or the product just doesn't cater to tightly coiled textures like mine. My conclusion is if I ever reach for this gel again, I'd be topping it with a waxier-textured edge control. Because I realized that as much as it failed at holding my hair in place--especially my edges--it would really serve as a nice 'base' before packing on a thick edge control. I also wasn't a fan of the white flakes it would leave in my hair after application. I absolutelyyyy LOVE these lipshades. Also not ignoring the fact that I'm a sucker for red lipsticks...all shades and tones of red. However, the blue-based red of this liquid lipstick looks great against my undertone. I bought the Lipshine from a friend of mine, Ore. This is my second tube already and I'm definitely reaching for a third! I received this product originally from my elder sister, and it wasn't until I posted a picture of it to my snapchat (@chinenyeagbim) that I realized how popular it was. I was happy about the fact that it is made from natural ingredients like natural oils and herbs. Shampoos are made to clean hair, and it did quite an okay job without being too harsh. However, one thing I wasn't a fan of is the consistency. It has a really loose, watery consistency which means that if you're a Clumsy Clara like yours truly, the entire product will completely spill out; unlike a shampoo with a more viscous texture. The smell is a bit interesting too, but for some reason doesn't bother me. This is the first jelly made specially for twisting natural hair that I've tried and I love it. It didn't leave any residue in my hair, and a pea-sized amount comes a long way. It left my twists juicy and bouncy even when unravelled. I used this spray particularly when I was at the 'teeny weeny afro' (TWA) stage and it did quite a good job. I've however converted it to my water spray bottle which is how I detangle my hair now. If you want to smell like you've just been lounging on an exotic island, surrounded by hibiscuses, coconuts, palm-trees and sprinkled by the ocean spray. This is the fragrance mist for you. Neither am I a skin care guru, nor do I have a strict skin care routine I swear by, but I believe in deep-cleaning my skin at least two times a day. This inexpensive drugstore cleanser gets the job done without being too harsh on my face and neck. I'm definitely going to opt for a different shade in this same brand next. When I'm giving red lipsticks a break...this gorgeous medium purple liptick does the job. I love it and will definitely be re-purchasing. Have you tried any of these products listed? Would you trash them or restock? I'd love to hear from you in the comment section down below!